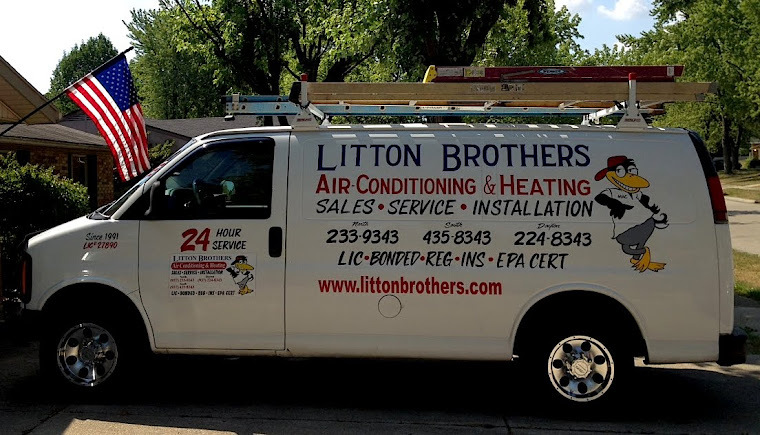 LITTON BROTHERS AIR CONDITIONING & HEATING DAYTON, CENTERVILLE, HUBER HEIGHTS, KETTERING: FOR THE BEST ALL-AROUND HVAC SERVICE IN DAYTON, GO WITH LITTON BROTHERS AIR CONDITIONING AND HEATING TODAY! FOR THE BEST ALL-AROUND HVAC SERVICE IN DAYTON, GO WITH LITTON BROTHERS AIR CONDITIONING AND HEATING TODAY! 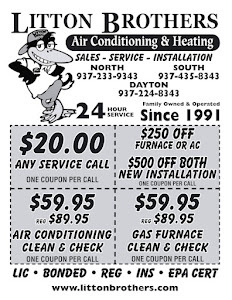 Litton Brothers Air Conditioning and Heating is currently offering some incredible deals for its customers in the Dayton area, including $500 off installation when purchasing a Rheem AC and furnace combo. With more than 24 years of A-plus service (Better Business Bureau) and expertise, along with the best products on the market (Rheem) at an affordable cost, Litton Brothers Air Conditioning and Heating is your best choice for all-around satisfaction.